To develop smart solutions for slow-moving manufacturing systems, industrial automation experts put heavy emphasis on the concept of Track, Trace and Control (TTC). Used primarily to manage work-in-progress (WIP) components, TTC can be likened to a “past, present, future” reading for every single part. It’s an essential management tool that allows manufacturers to analyze WIP data and make decisions in real time, thereby avoiding unnecessary costs in both money and time. Companies that make good use of TTC data easily overtake their competition due to increased productivity. To make traceability possible, tiny barcodes known as direct part marks (DPMs) are dot-peened, ink-jetted or laser-etched onto the parts themselves, whether they are made of metal, glass, plastic or another material. These DPMs connect the WIP parts to the overarching industrial automation system, making it possible to explore their past, clarify their present and reveal their future. TRACK: Where is the part now? Plant floor managers often need to know exactly where a specific part is at a given time. Perhaps a worker noticed that a specific cutting tool is too worn down to be usable, and all pieces cut with that tool just before this discovery are now suspect. By scanning DPMs throughout the automation line, it’s relatively straightforward to locate these defective parts and take them out of production. TRACE: Where has the part been? To TRACE an item’s past, data captured from the TRACK phase is stored in a database for future perusal. If a part turns out to be malformed, it’s important to trace the deformation back to the root cause. Recorded data can also be analyzed to pinpoint bottlenecks in the automation line and suggest ways to speed up the flow. 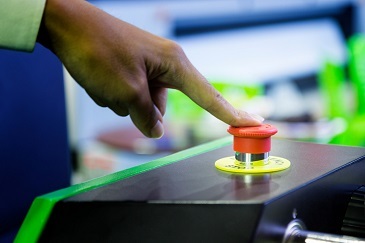 The bounty of information gathered on product whereabouts, quality assessments and arrival times at various inspection points is like a gold mine for statistically-minded industrial automation strategists interested in making things better. CONTROL: Where will the part go? The mystery of what the future holds for a given part is quickly disclosed as it passes an inspection point. 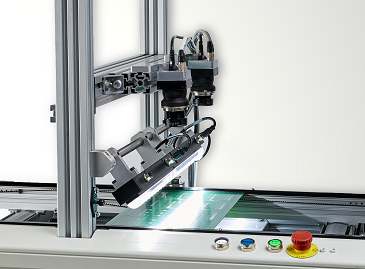 In the CONTROL phase, machine vision devices inspect each WIP part to check for defects. 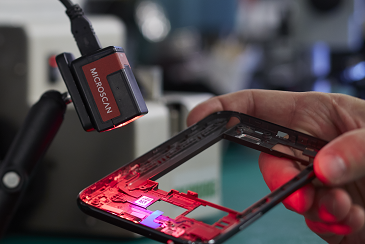 The result of the inspection determines if the part should move forward through the assembly process. Parts that don’t pass muster could be flagged for future action or tossed off the production line altogether. Knowing where a part is, where it’s been, and what’s just around the corner is key for speeding up industrial systems and improving product quality. In manufacturing, what you don’t known CAN hurt you, so the more information you have, the better. A well-implemented TTC system keeps all this valuable information at your fingertips, allowing you to look up the past, present and future of all the little pieces that go into your phones, laptops, automobiles and airplanes. Then you can make informed, data-driven decisions in a timely manner to streamline your operations. We will be introducing new barcode reading and traceability solutions at the upcoming ATX Show in Anaheim, CA from February 6-8 from Booth #4395. If you plan to attend, please feel free to schedule a meeting with our experts at the show and discuss your custom projects. Learn more here.